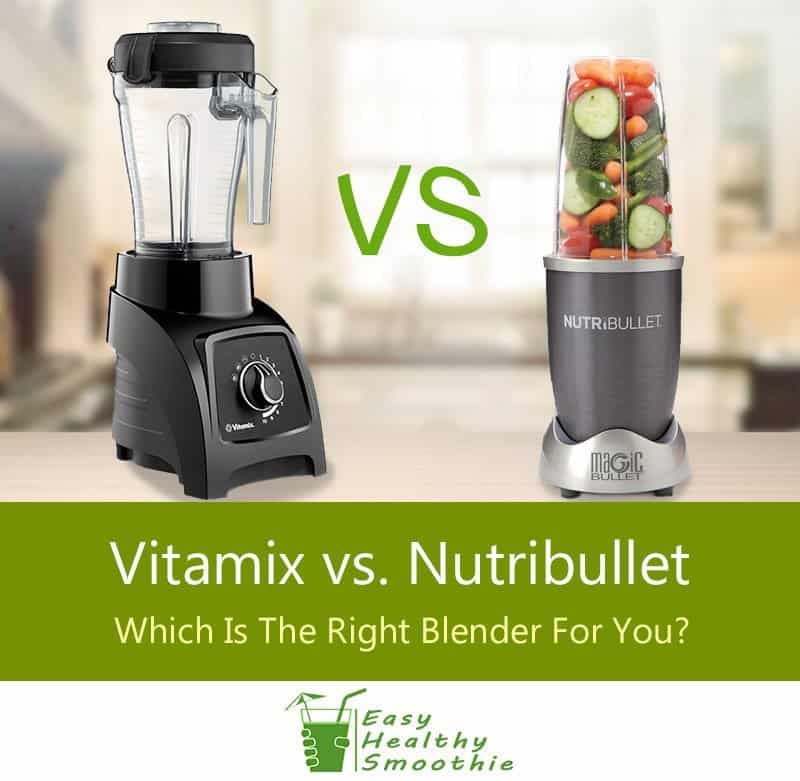 Vitamix vs Nutribullet – Which is the Best Blender for You? When you find the right personal blender, it makes your smoothie creation quick and easy. On the contrary, a poor selection leads to frustration and leaves you abandoning this healthy, weight loss option before you can enjoy the benefits. This review gives you the inside scoop on both the Vitamix S50 and the Nutribullet Magic Bullet. Both of these high speed, personal blenders offer great features and solutions for the at-home health conscious cook. Bring convenience to your choice to eat healthy with compact unit size and single serve, ready to travel smoothie potential. Prove easy to clean with dishwasher-safe parts or a quick rinse under the faucet. Earn high star ratings in general with only a few customer concerns. The decision may just come down to personal preference with budget being a determining factor. But, features of durability and speed control come into play as well. Keep reading to get the full story of our comparison of Vitamix vs Nutribullet and how to choose between them. Maintaining a healthy lifestyle and reaching weight loss goals requires a few tools of the trade. One such kitchen appliance, a personal blender, brings fast and easy power-packed nutrition to your busy (but healthy) lifestyle. Two industry leaders, VItamix and Nutribullet, offer options: the Vitamix S50 and the Nutribullet Magic Bullet. 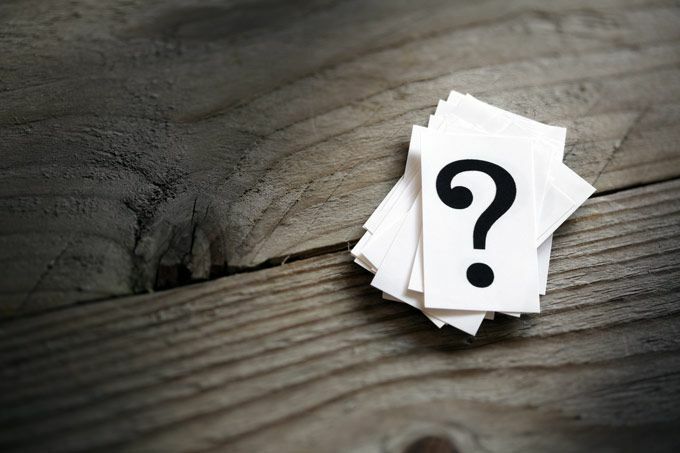 We will review the pros and cons of each, to help you make a wise decision. After all, we want to see you get on with healthy living so we can hear your success stories - be sure to share them in the comments below! Yes, we have done the research for you and compiled it here. Now, all you have to do is review, choose and purchase. The most noticeable difference between the products of these two companies is the high cost of a Vitamix over a Nutribullet. Yes, Nutribullet proves to be preferred by those on a budget. Speed in getting the job done. After all, your busy lifestyle dictates nutrition on-the-go. Power to handle ice cubes, fruit rinds and crunchy vegetables which add nutrients and chill to your smoothie recipes. Ease of use and clean up, to decrease prep time and get you moving. Control over the texture of your kale or strawberry-banana smoothie to create a habit you will enjoy and continue. Expense and its value in features and benefits. Vitamix is known the world over as an industry leader in top-of-the-line blending technology. And, the Vitamix S50 lives up to this legacy. The Vitamix comes with a 40-ounce, BPA-free shatterproof container for making larger batch recipes without the health risks of BPA. Plus, a 20-ounce BPA-free, double walled Blend and Go Cup, with a spill proof flip top lid, offers single servings served straight from the blender into your hand. The ability to choose container size grants you the freedom of making a portion for your family or a single serving. Furthermore, the sleek black, compact design fits easily on your counter. In other words, it can be ready at a moment’s notice to meet the needs of your taste buds and nutrition requirements. In the time it takes to whip up your concoction you can finish other tasks, thanks to the Vitamix being able to shut off when the cycle completes, along with two pre-programmed settings. Furthermore, these settings produce consistent smoothie results without the guesswork. If you are new to the make-your-own smoothie experience or are still getting your feet wet in the kitchen, this feature paves the way to success from the start. 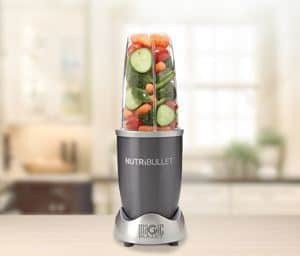 Finally, the variable speed control and pulse function offer you the ability to achieve the texture of smoothie you desire while handling larger chunks of fruit and vegetables well. 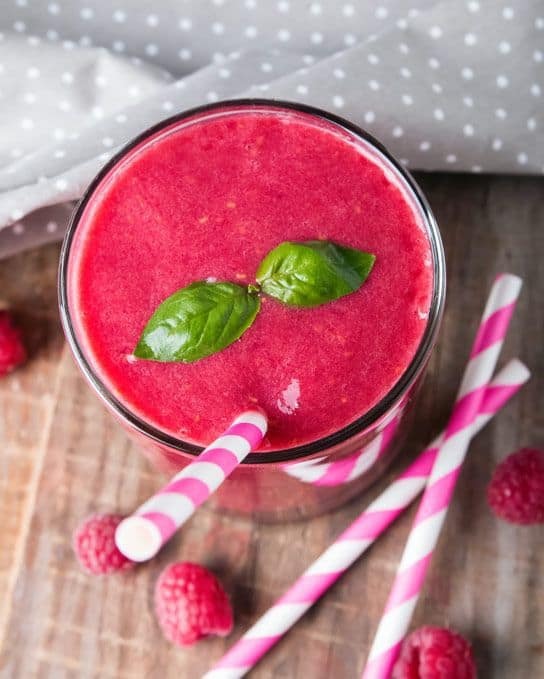 Following the manufacturer’s suggestions and putting the ingredients into the blender in proper order improves the final taste and texture as well. The hardened, stainless-steel blades within the base of the S50 offer durability and function. While using a lower powered motor at 790 watts, the S50 still handles both crunchy vegetables and frozen fruits thanks to its blades. And, all of this blending comes at a lower noise level. Early morning concoctions promise to let the rest of your house sleep with this welcome feature. Backed by a 5-year, full parts, performance and labor warranty, Vitamix stands behind the durability of this product. Again, the legacy of this company ensures quality and eliminates the annoyance of needing to replace the product in short order. Unfortunately, the ease of making a smoothie means little if cleanup is cumbersome. The Vitamix cures this woe with components that wash up quick on the top rack of your dishwasher. The Vitamix is indeed easy to clean, which for me is a highly important consideration. An S50 Cookbook accompanies the purchase of this high-performance blender. The famous Vitamix recipes prove useful whether you’re a smoothie pro or just getting started with a blend-and-go, nutritious lifestyle. Also, included with the blender is a tamper. This accessory guards fingers and kitchen utensils when blending in the 40-ounce container. Again, Vitamix stands as a leader in the blending technology industry. And, a higher price tag comes with this reputation. However, keeping considerations of quality and customer service in mind impacts investment value as well. You may just find the exceptional customer service and durability of Vitamix products to be worth the expense. Additionally, an S30 version is available at a slightly lower cost. However, if the price still seems too steep, other brands offer more economical options. Through verified customer reviews, a large percentage of Vitamix S50 buyers indicate they are well-pleased with this unit. Quality and convenience are often sighted as the pros of this product. More specifically, consumers like the ease of use and durability of the S50. Still, some buyers question its price and blending capabilities over other products. 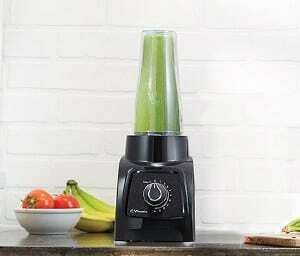 Even some Vitamix loyalists find themselves wanting more power on this model. To answer this concern, other users successfully adjusted ingredient size and expectations to find satisfaction with this model. For instance, allowing the Blend and Go cup packed with frozen fruit and some water to stand for 10 minutes softened the contents for easy blending. Additionally, customer service got a thumbs up when problems did arise. No questions asked replacements and returns seemed to be the pattern. After looking into the Vitamix, let's take a closer look at its rival the Nutribullet. To see how Vitamix compares with another major competitor, the Ninja blender, check out our comparison guide ﻿﻿h﻿ere. Newer to the scene, Nutribullet continues to rise in stardom where avid smoothie consumers are concerned. Promoting a convenient, healthy lifestyle, this company develops products such as the Nutribullet Magic Bullet which use their “food extraction” technology. This high speed blender allows you to make a single serving in one of two BPA-free short cups (16 ounces each) or whip up a smoothie for two in the BPA-free tall cup (32 ounces). Also, you can take advantage of the different containers to create a couple quick one-of-a-kind smoothies according to the preferences of your guest. Furthermore, measuring only 12 inches high and five inches in diameter, the Magic Bullet proves portable. At this size, it travels conveniently to work or even on an airplane. The compact nature of this high speed blender also lends itself to any counter space. And, choosing gray, blue or red allows you to personalize it to fit your decor. Finally, one power setting gets the job done. While you lose some control over the end result, this feature also offers no-thought ease of use and a great smoothie for those hectic mornings. Nutribullet perfects the technology which breaks food down to the cellular level. What does this mean to you? The vitamins and minerals you need, the very reason you drink healthy smoothies, are more easily absorbed and more efficiently used by your body when blended by extraction technology. Also, the blender proves to blend fruits into a smoothie-textured juice. However, the nutrient packed pulp and beneficial fiber are not separated or thrown away as would happen with a juicer. In sum, food extraction technology allows you to get the most nutrient punch from the ingredients in your Nutribullet. And, what’s more, it requires no extra effort from you. A high-torque power base, relatively quiet 600-watt motor and powerful blades break down the toughest smoothie ingredients. And, the one flat blade and one emulsifying blade included with the Magic Bullet offer texture customization - a smoothie the way you like it! This power proves enough to chop nuts, fruit rinds, ice cubes and frozen fruit. Note however, that Nutribullet does not recommend using ice cubes or frozen ingredients. Generally, when inserting ingredients into the jar for blending, it is best to pre-chop them so that the blending could be effective and quicker. If you need more power to handle larger items, Nutribullet offers other models in its personal blending line. 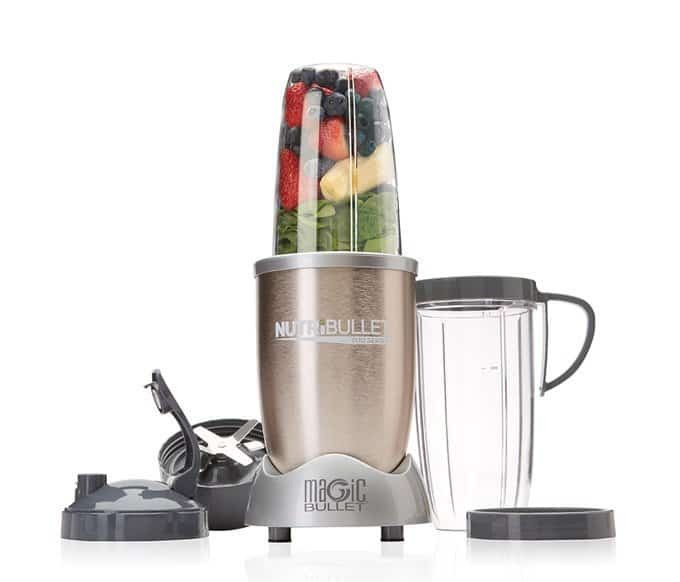 While the Magic Bullet is the first step toward healthy eating, 900, 1200 and 1700-watt models are also available. The Nutribullet Pro, Nutribullet Lean and Nutribullet Rx add power and features to your blending experience. As you graduate from this Magic Bullet starter or perhaps from the get-go, review these units to see if they answer your needs. Also, the patented blade design uses cyclonic action acts to push the food around which results in better blending. And, this blender’s high speed gets a smoothie in your hand in 10 seconds from start to finish. The smooth design of the Magic Bullet containers makes them easy to rinse. And, the parts are dishwasher-safe which makes cleaning a breeze. The pocket nutritionist and manual included with this high speed blender keeps you moving forward with your nutritional goals and offers the well-appreciated Nutribullet recipes to get you started without hassle. The two resealable lids for the cups allow spill proof travel. Significantly less expensive than other brands, the Magic Bullet offers a more affordable blender to smoothie connoisseurs on budget. And, a one-year limited warranty provides some support should you experience problems with the blender. Verified customer reviews on the Magic Bullet sing its praises. In fact, well over half of users rate this unit at five stars. A complaint mentioned by some reviewers was of leakage. However, this tends to be due to overfilling and not securing the base well which is corrected by following the manufacturer’s instructions. So, what does this all mean to you? Which tool do you need to get a great tasting smoothie? Can the Nutribullet replace the high-end Vitamix? Let’s review the differences between the Vitamix S50 and the Nutribullet. The S50 offers two variable speeds with pulse function vs. the one speed of the Magic Bullet. Vitamix asks a higher cost vs. the budget-friendly price of Nutribullet. Nutribullet receives slightly better ratings than Vitamix on these products in particular. Superior customer service goes to Vitamix. Five-year warranty on the S50 as opposed to one-year with Nutribullet. Multi-tasking and busyness have you looking for hands-free operation. Your lifestyle or preferences call for ease of use, quick clean up and smaller serving sizes. You are loyal to Vitamix and can use a durable blender with a smaller motor for more frequent use. You need a budget-friendly price tag. Even reconditioned ﻿models are only slightly less expensive. Want a juicer. The lower powered motor suggests that you will see better results from a more powerful model, or a dedicated Juicer. Need a quality but less expensive blending option. Just want to get started with ease and convenience, including cleanup. Love the idea of a portable product. Great for frequent travellers. You prefer more control of texture using variable power. Want a durable product which lasts longer. Need the power of a full-sized blender. Determining which personal blender is right for you emphasizes the “for you.” In other words, the features which cater best to your personality, lifestyle and goals wins the vote. So, after considering the pros and cons, what’s your pick? Which personal blender will find its home in your kitchen? Our personal favorite is the Vitamix. True, the Nutribullet is by far cheaper. It also blends great smoothies overall. However Vitamix provides better smoothie consistency, greater durability and a generous warranty compared to Nutribullet's one year. If none of these models fits your needs, then be sure to check out our complete blender buying guide. Finding the right personal blender can make or break your healthy eating goal. Is Nutribullet really as good as the high-end Vitamix blender? Which one should YOU buy? We examine how these two blenders compare.